You’ll be Watching more Ads on your Smartphone - Plunkett Research, Ltd.
You might as well get used to it, the more that you look at the Internet on your smartphone and tablet, the more you’re going to be faced with a growing array of ads on your mobile screen. Consumers are hooked on smart wireless devices, and advertisers can’t afford to ignore this mass market. (Roughly 60% of U.S. cellphone users, or about 200 million people, own smartphones and/or tablets.) The key to making such advertising work is through selective targeting, that is, directing the right ad at the right person. Since the ads are going to be coming anyway, you may want to make the most of it by allowing your device to track your interests and your location. For example, Apple states, “To give you the best advertising experience, we recommend that you keep Limit Ad Tracking turned off…” In other words, let your device gather information about the web sites you visit and thus build a profile of your interests. More complicated is location-based advertising. Your smartphone is a pretty amazing collection of communications tools in one small package. Unless you opt out by turning off the location services on your phone, ad-generation systems may collect information about your whereabouts from cellular towers, Wi-Fi and your phone’s built-in GPS. The ability of location services to pinpoint your location will improve over time, and you will see a growing number of retail, restaurant and entertainment ads targeted specifically to your current spot. This may be very useful, or very annoying, depending on your current needs. 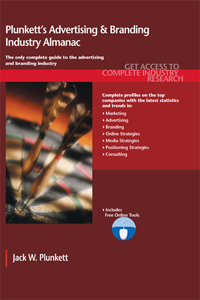 Our new Advertising & Branding Industry Almanac 2014 is your key understanding to the global advertising business.